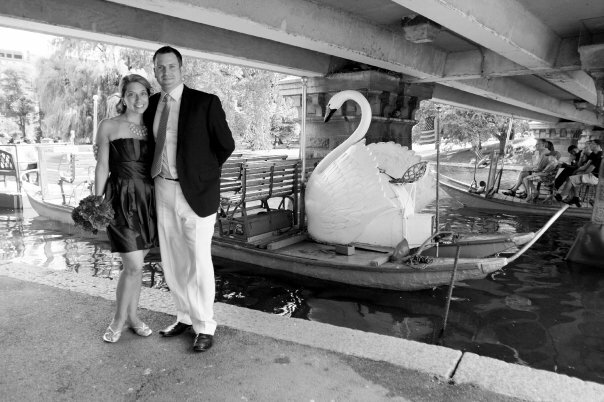 We were looking for a light yet elegant dessert fitting for a snowy night. Pears have such a lovely flavor but they are a fruit that goes from hard to mushy in a heart beat and you often miss that perfect point which is why we decided to cook them sous vide. To begin make a simple syrup to poach the pears in the sous vide bag. Mix white wine, brandy, water sugar, star anise and a cinnamon stick. Then begin to heat slowly in a saucepan. Take a couple of strips of orange peel and add them to the mix. Slowly heat until the sugar is dissolved. Adjust the intensity of the flavor by adding water or a little extra brandy. Add a splash of vanilla extract then let the mixture cool. 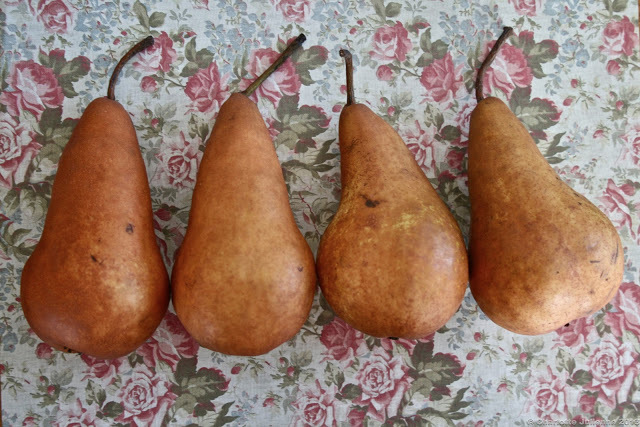 Peel and core four pears. Place the pears in a sous vide bag and then add the liquid before sealing. We cooked them in a water bath at 80 C. for one hour. We then allowed them to cool in the water bath. Remove from the water bath and you can keep in the fridge until needed…we needed ours right away. Take the liquid from the sous vide bag and add to a saucepan where you will reduce until it has a syrupy consistency. 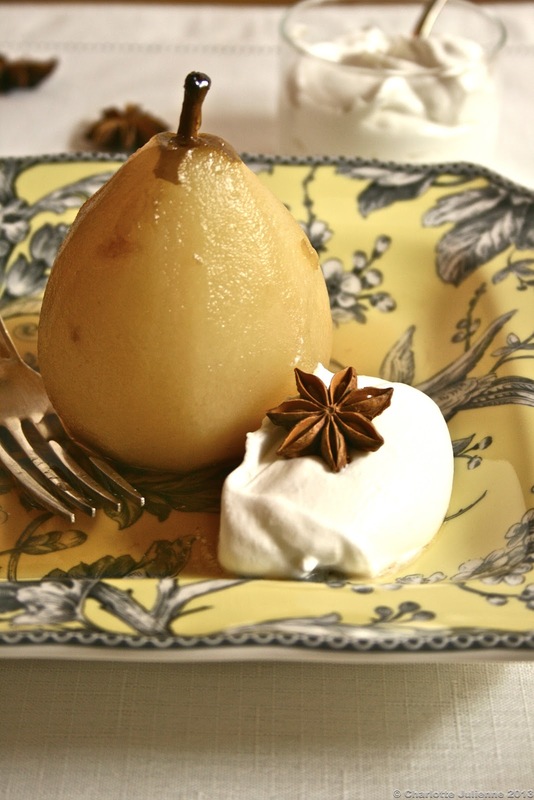 We simply served our pears on a dish with the liquid poured over and a dollop of whipped cream. They were light and delicious yet wintery.